Sony's sleek new Honeycomb tablet, whose odd newspaper design we speculated about earlier, will be released this Fall, along with a clamshell-shaped device with two screens, according to Sony officials. The 9.4 inch S1 media tablet (aka, Qriocity) has both front and rear-facing cameras and looks like a promising competitor to Samsung's Galaxy Tab. The second tablet is the dual-screen S2 clamshell, which reminds us of a souped-up Nintendo DS and has a pair of 5.5 inch, 1,024 x 480 pixel displays, not to mention a Tegra 2 SoC, and camera. Both of these babies are Playstation certified, which will certainly up the ante when it comes to devices that offer both portable gaming and web-surfing. 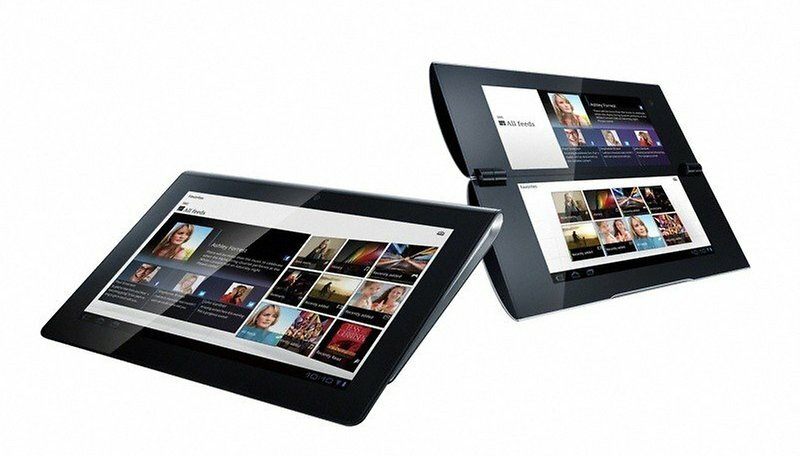 Sony has said they wish to be the second largest tablet manufacturer in the world by 2012; an ambitious claim given the success of Samsung's tablets and Asus's promising Eee Pad Transformer. Even if the company doesn't capture the number two spot, there's plenty of money to go around as sales of tablet PCs are expected to quadruple in the next four years to almost 294 million units. Being able to market Playstation games on the device will certainly help, as more people are playing games on their smart phones than ever before.